Saint Lucia has recorded another homicide following the shooting death of a resident of Vieux Fort who succumbed to a single gunshot wound which he sustained last Wednesday. The house where the shooting took place in Vieux Fort. Dead is Howard Henry, 37, of Shine Drive, Vieux Fort, who succumbed to his injuries at the Saint Jude Hospital on Saturday morning. He was shot in his lower body in a house on New Dock Lane, Vieux Fort, where he sometimes sleeps. 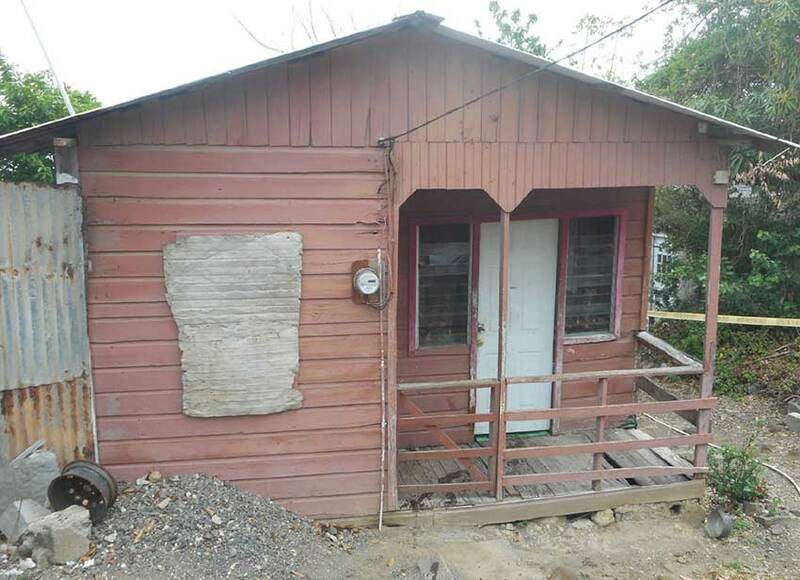 At the time of the incident, which occurred sometime close to midnight, the house was also occupied by another male, who is not originally from Vieux Fort but has been residing there for a number of years. Howard, whose mother died about a month ago, bled profusely at the scene of the crime before being taken to the St. Jude hospital by ambulance. According to residents, just before the incident they heard banging on the door of the house which the deceased occupied, and someone shouted “police”. The house, which is sometimes occupied by several other men of Vieux Fort, is owned by a resident who is overseas. Residents described some of the men who sometimes occupy the house as men of questionable character. They believe that Howard, who is also known as Seaga, may not have been the intended target since he is not known to be a trouble maker. They believe the intended target may have been someone who sometimes sleeps in the house. The incident has left family members and residents in shock and disbelief. Up to press time, one man was in custody assisting police with their investigations into the matter. Over the years, a number of homicides in Vieux Fort have gone unsolved.